XI'AN | CGE delegates visited four high schools in Xi'an, China. Two of the schools are international schools with many expatriate students who plan to attend university overseas. 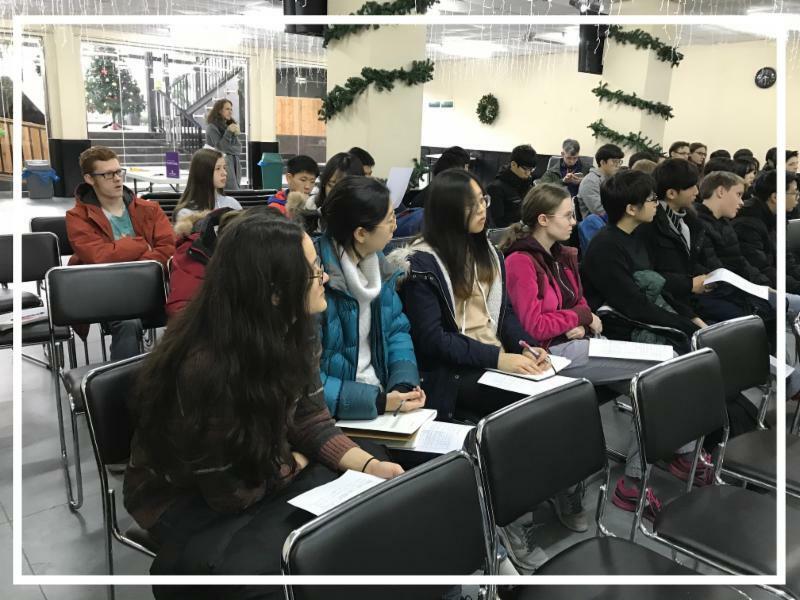 The first visit was to Xian' International School where Principal, Melissa Engman, afforded CGE the opportunity to speak with Sophomores, Juniors and Seniors. During the visit, Becky Van Stavern, Southwest Baptist University, and Dr. Lisa Seeley, East Texas Baptist University, shared about their Ameristudy programs and David Bishop shared how to access the information for the other 16 participating AmeriStudy campus profiles on the website. The Chinese high schools offer great potential as each has students studying in English who are preparing for overseas study after HS graduation. At Jin Yuan International School, CGE delegates were amazed at the facility and the student-centered program for High School and the richness of potential for cooperation and recruiting. Ding Wina (Jessica), the Vice Director of the School, explained their values and goals and the support given for students, teachers, and parents. Additionally in Xi'an, CGE visited our Silk Road partners and their home base at Eurasia University. CGE Delegates met with the Dean of their international program and discussed ways that our CGE students could study at Eurasia, an American - style China private university campus. There is also an opportunity for CGE students to visit the four high schools in Xi'an to continue recruiting students for their home campuses in the USA. 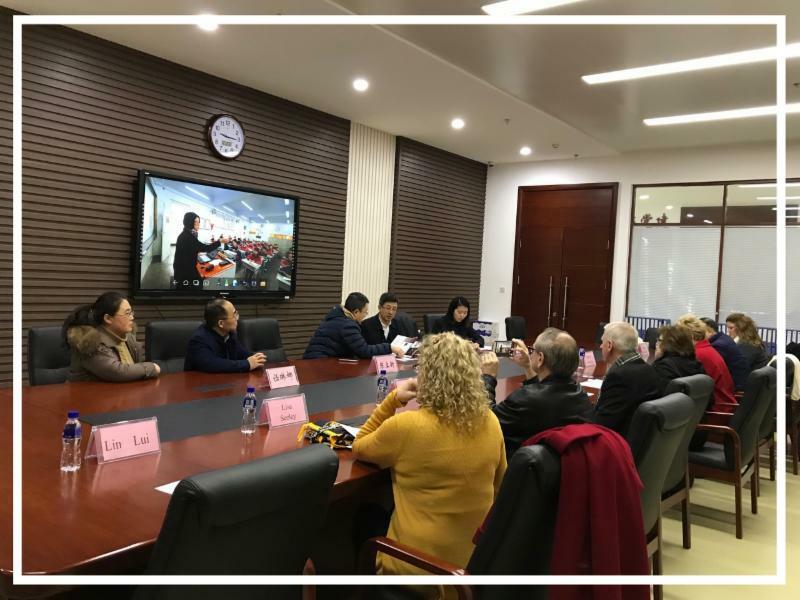 YANTAI | CGE was joined by Dr. Barbara McMillin, President, Blue Mountain College, and George Mizzell, CGE's Consultant for AmeriStudy's ACT and SAT Prep Program. CGE's first visit was to Aihua Chinese Bilingual School who shares a campus with Yantai International School - run by LDI, a CGE partner. 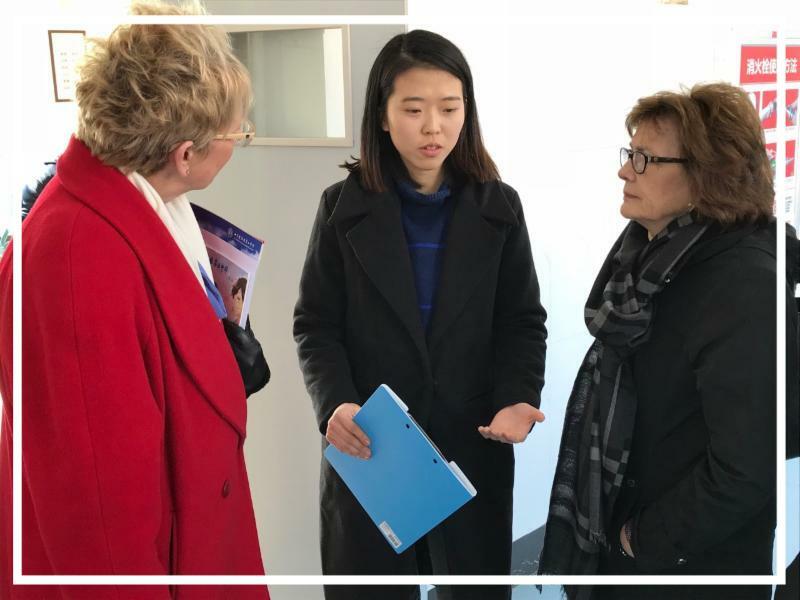 The CGE group met with Mrs. Guo, Principal of the Chinese Bilingual Experimental School, shared CGE's AmeriStudy university member's info with students, and toured the Huasheng International school. CGE China colleague, Yuk Soon Bum, hosted the Chinese School visit and LDI's Dr. Andy Platt hosted the lunch and Huasheng International School experience and joined our delegation at other Yantai sites. CGE also returned to the prestigious Yantai No. 2 Middle School with the help of George Zhao and met with Mr. Zhang the Headmaster, who suggested a summer 2018 SAT/ACT prep project for their HS students. Ludong University in Yantai, one of CGE's long term partners, wants to highlight their Biology and Sciences departments who are looking for cooperation with CGE faculty in the sciences. 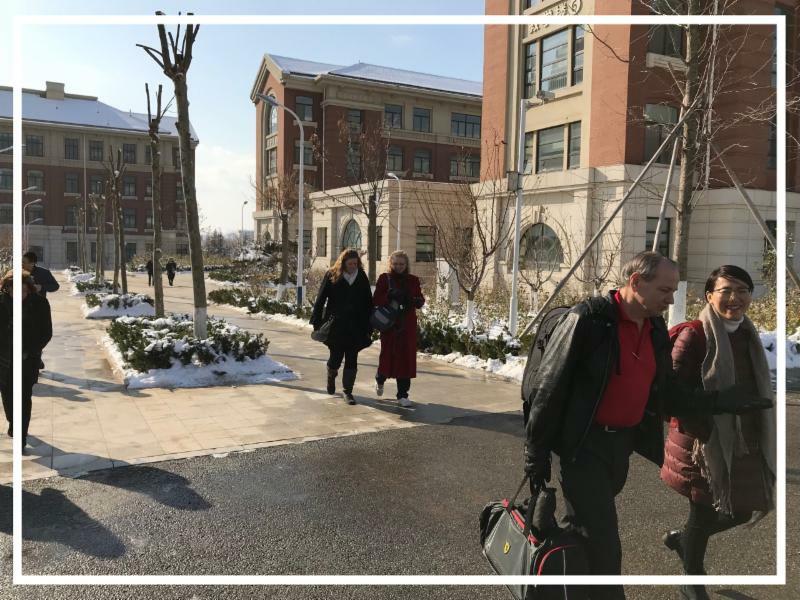 BEIJING | Blue Mountain College, Southwest Baptist, and East Texas Baptist visited Dulwich International School in northern Beijing. The rich academic experience for more than 1450 students was impressive with seniors being selected to attend top universities all over the world. Forty to fifty of the 90 seniors select USA universities each year. CGE also visited ZDL publishing who have connections with educators and schools all over China. Jewel Nordstrom and James Jia work with ZDL and are ready to help AmeriStudy and CGE members with their publishing of materials in China. Contact cbishop@cgedu.org for additional China Delegation details and opportunities.